This Christmas Giveaway will on Name Sherry, give me time for the mechanics yeah! In the mean time, make sure you are GFC follower of the blog. Prizes for 1st and 2nd Prize consists of top, I folded the kiss me top. :D Everything is new purchased by me except nail polish are preloved. 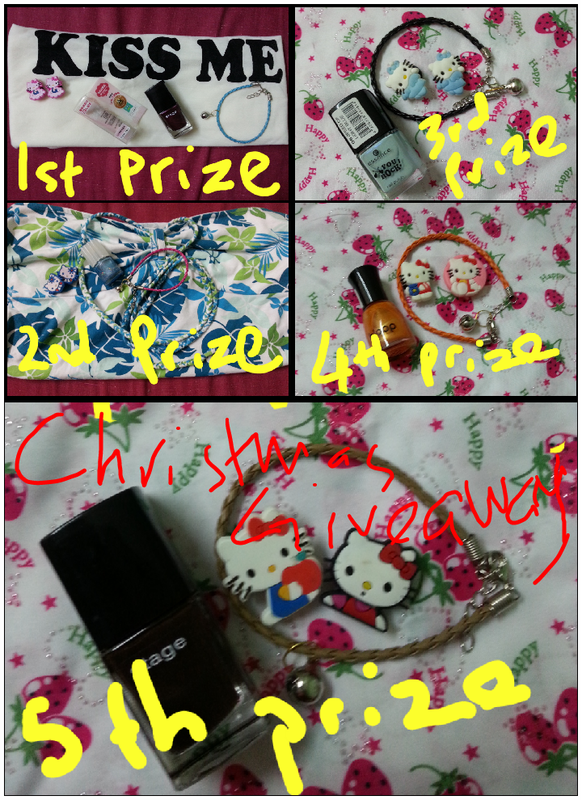 Each Prizes consist of Hello Kitty shoes stud, how pretty is that?